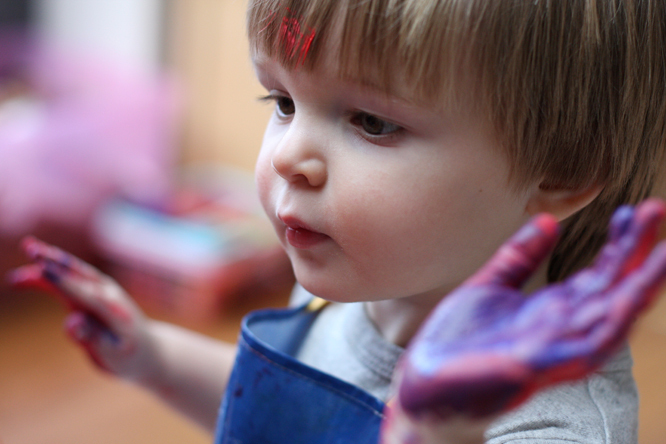 Henry - Finally allowed to be let loose (ish) with paints and he loved it, doing hand prints with gusto. "I like painting" he says - he liked 'washing' the paint brushes even more I think. 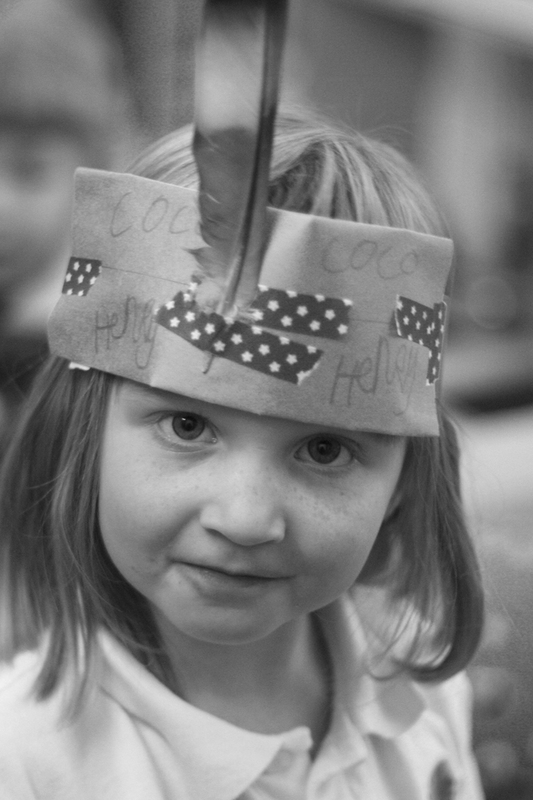 Coco - She found a feather on the way home from school and told me she was going to make a hat for Henry. Which she did, the only problem is Henry really doesn't like wearing hats. Pink and purple hands... is there anything better? How very sweet of big Sister Coco!